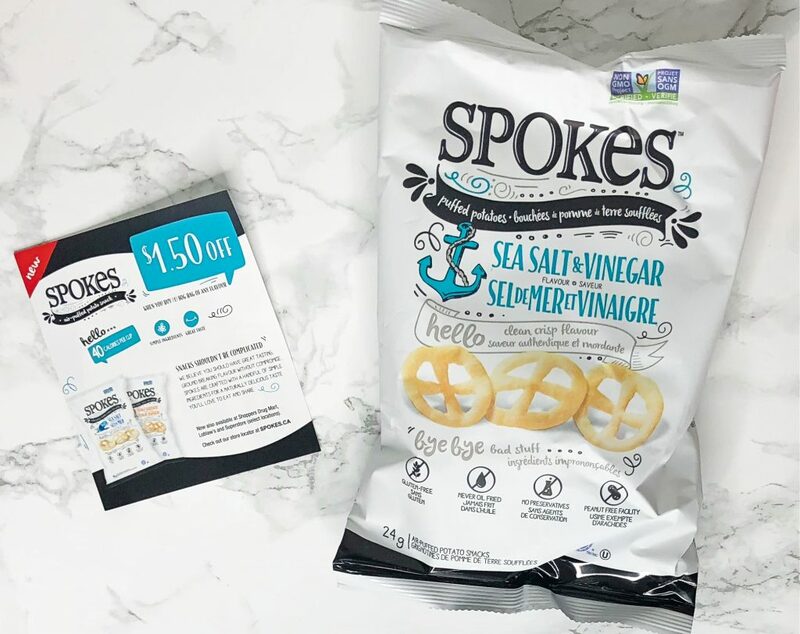 You can never have too many snacks—that’s why snack subscription boxes are awesome! Urthbox, for example, is one of my favorites because they provide a variety of snacks from different brands. They offer an impressive variety of snack box choices: vegan, gluten-free, low-calorie, or classic. Additionally, there are four different box sizes that range from $19.99 to $39.99. As with my previous boxes, I opted for the medium vegan box this month. This comes with a ton of snacks (18 or more), so after this review, I’ll probably be switching to the small box that costs $29.99 per month. This one is still pretty large with 12+ snacks every month! However, the large one is definitely the best value. 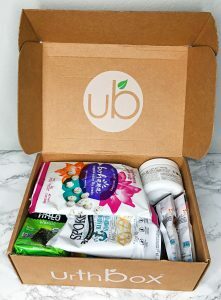 In this Urthbox review, I share the snacks I got in my October box, how to save money as well as get a bonus box, similar snack subscription boxes, and more! My October box arrived on the very last day of the month—Halloween! This is later than normal, but I don’t mind. It came in a medium-sized box with Urthbox branding all over it. Inside, I found my snacks, as well as a small card with a $10 off coupon. I wish they provided an information sheet about each product they include, but it’s not a big deal since I can look it up online. In total, I received 15 different snacks to try. There were a few multiples, so in total it actually came to over 18 snacks. I’ll be sharing each one below! I got this last month in a different flavor (double chocolate), and I absolutely loved it. This one was delicious as well! However, I liked the double chocolate flavor better because I’m a chocolate addict. I actually found these in a grocery store the other day, so I’ll definitely be purchasing them on the regular. I love unique snacks like this. Last month, I got some popped lotus seeds. They were delicious and have great health benefits! These popped water lily seeds are very similar. They’re lightweight and taste great. The texture is very similar to a puffed chip snack. I got the Himalayan sea salt flavor, which I really enjoyed. It added great flavor without being too salty. The whole bag only has 120 calories. This chocolate bark has no sugar, but it’s still delicious! It’s made of dark chocolate, pecans, cherries, sesame seeds, turmeric, and sea salt. 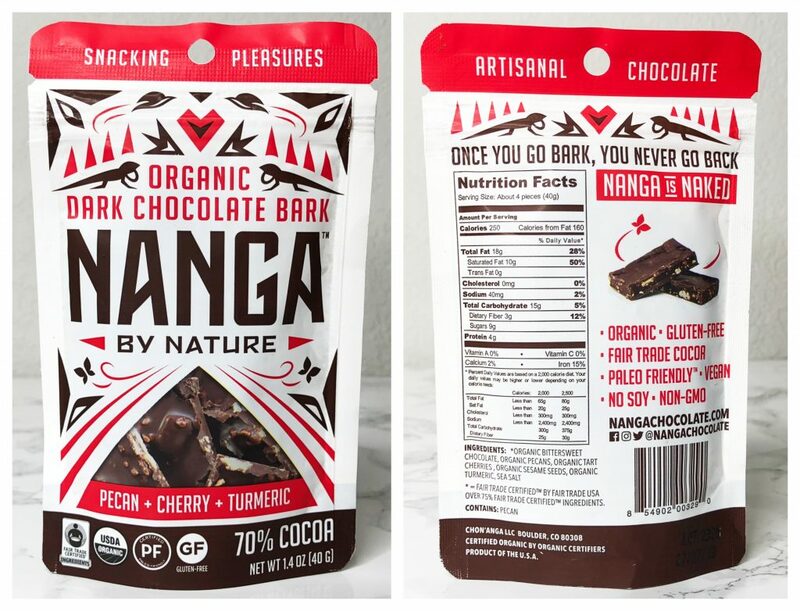 People who aren’t a fan of dark chocolate wouldn’t like this, but I loved it. I thought these were pretzels at first, but they’re actually popped potatoes! They’re air-puffed, which makes them a lot healthier than oil-fried chips or puffs. The oil in chips always makes me feel sick, so these were a delicious alternative. This entire bag has only 100 calories. Overall, I really liked them, and the two bags I got went quickly. They also included a coupon for $1.50 off a full-size bag! I’ve never been too big of a fan of olives. That said, I had never tried fancy olives like these, so I decided to give them a shot. 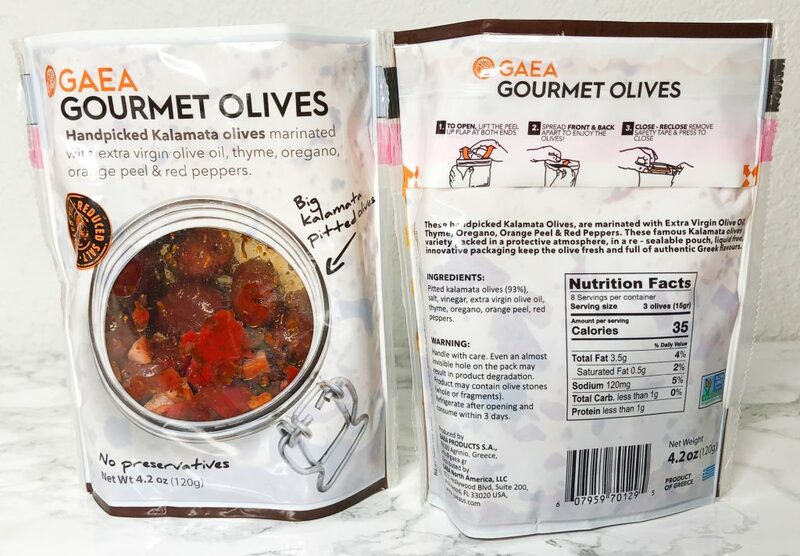 I was surprised because they were much better than any other olives I’ve tried before! Plus, they don’t have any preservatives or other questionable ingredients. My box came with two small bags. 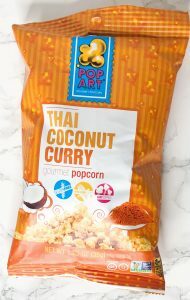 Thai coconut curry seemed like a strange flavor for popcorn, but it turned out to be pretty tasty! Popcorn is one of my favorite snacks, so I think I’d love any flavor. I make myself a smoothie almost every morning. I’ve been wanting to add in a supplement or powder of some sort to give it a boost, but I had no clue where to start. That’s why I was glad to get this superfood boost powder to try out! 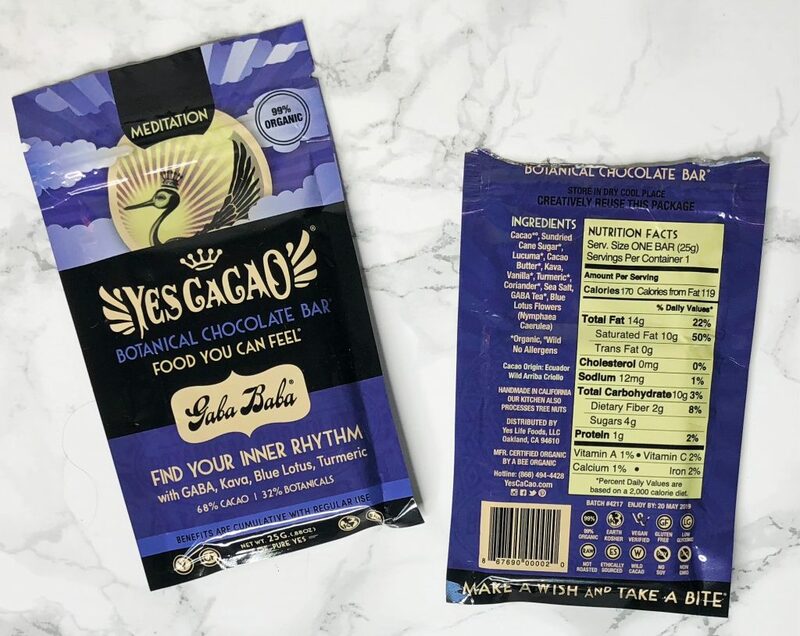 It adds lots of fantastic superfoods with just a small scoop (such as maca, Camu Camu, spirulina, goji berry, and more). It even comes with the scoop so you can easily measure out a serving. The monk fruit in it added a little sweetness to my smoothie. I love receiving products like this in my Urthbox because they last much longer than snacks! 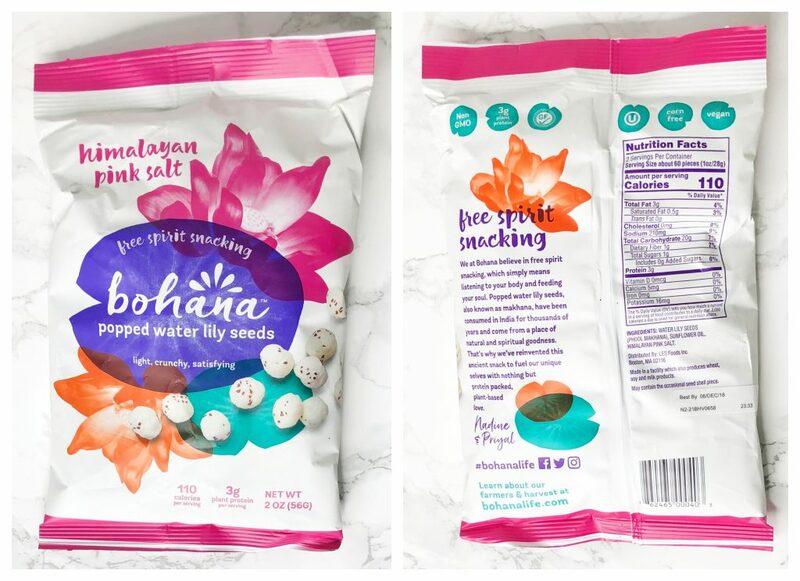 Also, products like this are usually more pricey than the typical snack (like a bag of chips), so it’s hard to try different kinds unless you get samples. This superfood boost regularly costs $14.99–$19.99! 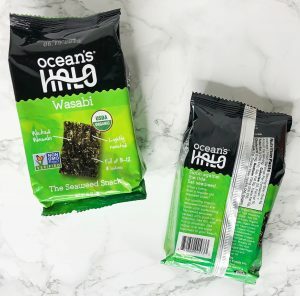 I’ve only ever had seaweed on sushi, so I wasn’t sure how I’d like these seaweed snacks. I was also concerned about the wasabi flavor since I hate wasabi. However, I still tried them, and I actually liked them! The wasabi flavor was very subtle. I kept wanting more of these after I thought I was finished. You can never have too much chocolate! Like the previous chocolate bark, this was amazing. They provided a few chocolate coins and even two entire chocolate bars. Even with all this chocolate, it was gone quickly. It also had a minimal amount of sugar—the whole bar only had 4 grams! The sweetness was perfect since I don’t like super sweet chocolate. Plus, it’s packed with foods that have great health benefits (such as turmeric, blue lotus, and GABA.